Now how do you define the concept of heroism? Do you define it by the color of one's skin, the God a certain person may follow, or even the comic book a nerd would read? Well, to me, personally speaking, the concept of heroism resides within everyone's soul. Needing nurturing and enlightenment whenever possible, or else you might end up on the wrong side of the following comic book created by my two new Muslim mates, Adil and Kamil. 1) What are your own origins, Adil and Kamil? Plus what paths did you take in life prior to getting to where you are today? We were born in Pakistan and migrated to the US in 1990 in pursuit of higher education. As kids we were fascinated with superheroes and grew up reading comic books. We had a passion for storytelling and drawing. Even as 5th graders we used to make our own comic book characters and stories. In the US, once we entered college life, priorities changed, as we had to focus on our education and careers. We both joined the IT profession and continued to march on. 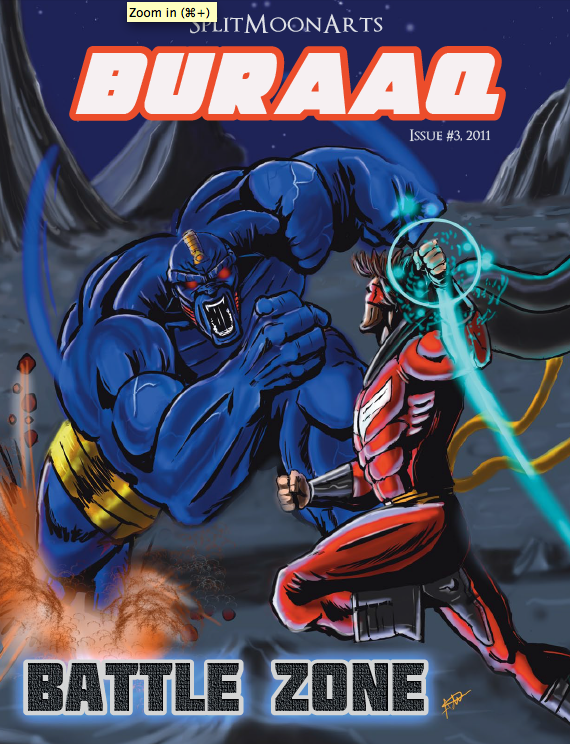 2) What inspired you to create your 'Buraaq' comic book? Being fans of science fiction / action films, we always felt that there were very few positive Muslim characters in the mainstream media. We also began to see an alarming rise in negative portrayals of Muslims in the movies, news, and comic books. It was almost as if the narrative on good versus evil had been hijacked. No one was telling our side of the story. So we decided to do something about it and the idea for BURAAQ was born. 3) In your own words how would you describe this tale? Buraaq is a story of a young man, Yusuf Abdallah, who, after losing his parents to a heinous hate crime, rediscovers his identity and purpose in life. Along this journey he gets caught in a strange cosmic event and undergoes an amazing transformation. He is blessed with new powers and extraordinary strength. In gratitude to God, he sets out on a mission, and dons a cape and a mask to fight evil, and to stand up for truth and justice. The tale has all the elements of mystery, action and adventure. Buraaq’s friends are from different faiths and backgrounds and share the same universal values. Buraaq is a story for all ages! The lyrics to this song capture the essence of BURAAQ’s tale. Man’s weakness, and the need to connect with his Maker. 5) If you could get a celebrity – either living or dead – to promote your wares, who would you choose, and why would you want to choose this particular person? 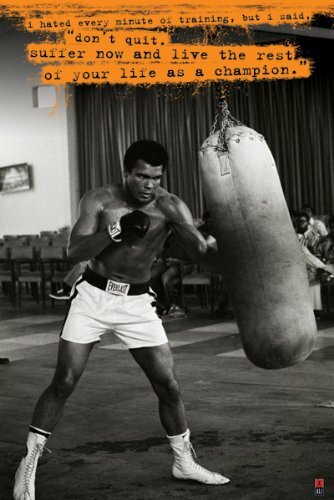 Mohammad Ali, the boxer, would be a great choice. He is a living legend, a fighter, and a man who has always stood up for a good cause. He is loved and respected around the world, and he would be a great ambassador! 6) What have you learnt about yourself through this endeavour? And were their any unforeseen obstacles you had to contend with along the way? We have learned that sometimes one has to step outside the box and look at the bigger picture. There’s more to life than just working 9 to 5. We all have skills and talents that can be used to bring about a positive change in the world. So far, thanks to God, we haven’t come across any significant obstacles. Patience is key. 7) During your time in this field, what is the one thing that has kept you in good stead? Faith in God and faith in this project, the support of our families, and the overwhelmingly positive way it was received by fans around the world. 8) If 'Buraaq' had a motto, what would it be? “Truth will prevail”. 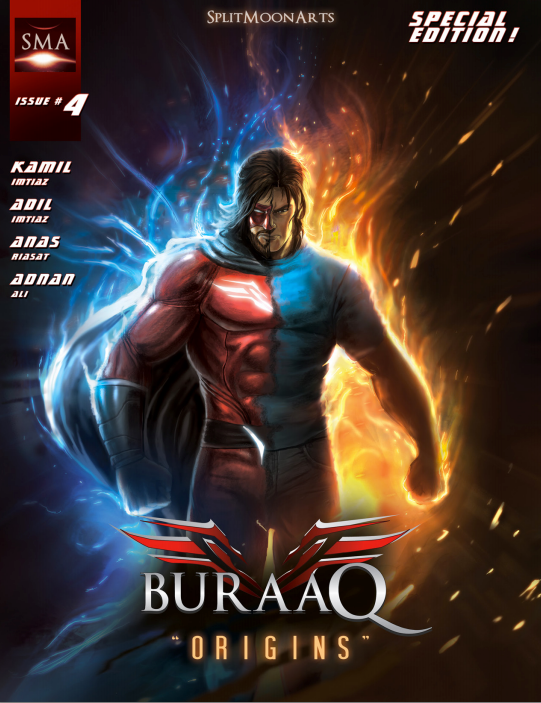 And on that inspirational note, dear reader, I'd like to thank Adil and Kamil for telling us about their great comic book series, 'Buraaq', before directing you towards their official website and facebook pages.